Whether you want to impress current and future clients or accommodate your employees, an artfully tailored landscape contributes to the cohesion of any work environment. We specialize in providing services for townhome associations. From 40 units to 400 units, we have the manpower and equipment to handle the job. 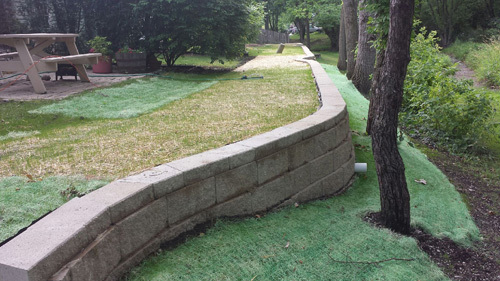 Our diligent crew installs and maintains outstanding lawns and landscapes affordably and efficiently. are best suited for your space. We’d love to give you a free comprehensive quote. Just give us a call or fax over your specifications. We strive to provide you with our unrivaled services at a reasonable rate. Green Pines Landscape & Maintenance Inc.?s service area includes, but is not limited to, Glendale Heights, Bloomingdale, Roselle, Glen Ellyn, Wheaton, Naperville, North Aurora, Batavia, Geneva, St. Charles, Wayne, Warrenville, Carol Stream, Streamwood, Bartlett, South Elgin, Hoffman Estate, Schaumburg, Addison, Lombard, Illinois.